At Duvall Catering & Events, we are lucky to work on long-term contracts with incredible local companies and businesses. Whitney Yeager, the Contract Manager who handles all food and beverage aspects for our partnership with Trident Technical College, has been with us for almost 5 years. She interned for our floral & décor department, bartended, served and event managed before starting as the Contract Manager for Duvall at Trident Technical College. Our awesome group! 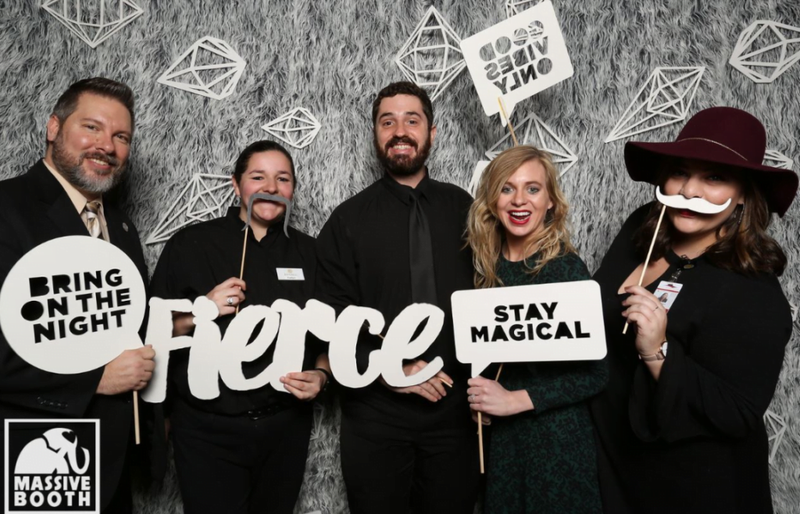 Whitney is holding the “Stay Magical” sign. She now manages all of the food and beverage aspects for all 3 of the surrounding campuses in North Charleston, Berkeley County and Downtown Charleston. This includes running 4 full service cafés, scheduling of food trucks, maintaining vending and organizing the food and beverage needs for over 300 events per year in our 20,000 square foot conference facility. We sat down and talked to her about our relationship with Trident Tech and their Culinary Institute of Charleston. Can you tell us about the Culinary Institute at Trident Tech? 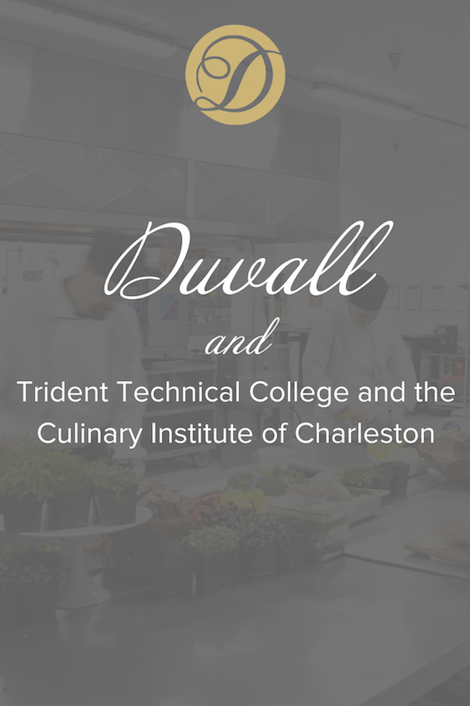 The Culinary Institute of Charleston is a division of Trident Technical College that specializes in hospitality, tourism and culinary arts. The accredited program has been around for over 25 years and offers everything from 2 year associates degrees to continuing education classes. What do you look forward to the most when working with Duvall? I love connecting with my clients and making their visions a reality. It is so rewarding to work with people from the initial plans to seeing the event through to fruition. Also, I think Duvall does an incredible job of creating a sense of family within our company. You love where you work so much more when you love the people who surround you, and I am very lucky to work with some wonderful folks! What has been/is your favorite event you have worked for Duvall? There have been so many! One highlight that comes to mind would be when we hosted the Charleston Metro Chamber’s yearly meeting in 2015. Daymond John, an investor on NBC’s Shark Tank, was the presenter and we had a blast coming up with some fun “shark themed” items for our menu including a blue Sharktini which was a big hit. If you had to eat one meal for the rest of your life, what would it be and why? Anything where beef and blue cheese are combined – they are a match made in culinary heaven! We always look forward to working with Trident Technical College and the Culinary Institute of Charleston. As our 40th Anniversary approaches, we are taking a look at everything that makes Duvall Catering & Events all that we are. From working with a bride and groom to plan their wedding to orchestrating the catering of 300 events each year with our local technical college, we treasure each relationship!